SKU: SI90600. Category: Sports & Recreation. Tags: backyard games, bocce, family, games, Mario Pagnoni. 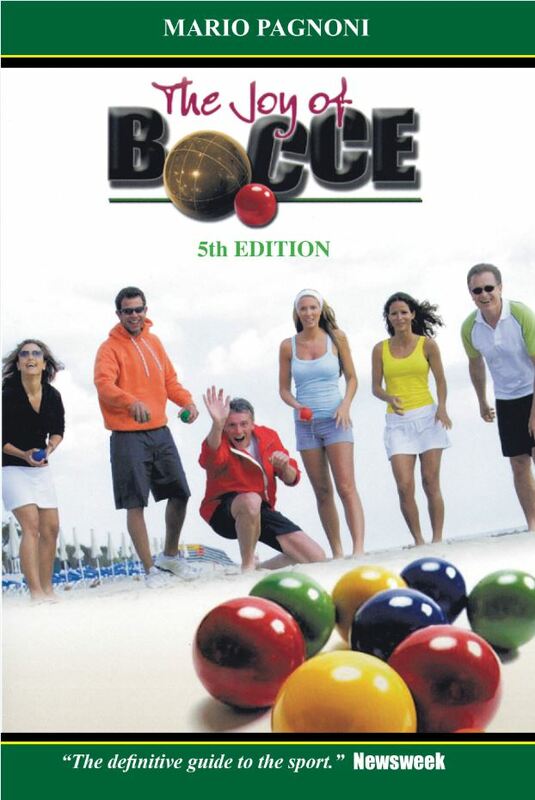 The Joy of Bocce, 5th Edition is the authority on Americas greatest and simplest recreational pastime. Bocce is a game that can be played by anyone almost anywhere, requires less space and equipment than its many assorted recreational rivals. It is safer than tossing quoits or horseshoes and more fun than a backyard Super Soaker water gun fight! This book gets the word out on what is the best-kept secret in sports bocce! The Joy of Bocce is fun to read and literally the first of many joys in taking up the game. Bocce is growing in popularity. It is played in many forms worldwide, and is an official event of the Special Olympics. Bocce is thriving in all areas of the United States and has been rightfully crowned the recreational sport for all the family. The Joy of Bocce seeks to dispel the many misconceptions about bocce and promotes it as a backyard game that is an ideal recreational activity for family cookouts, picnics and other get-togethers. Mario Pagnoni, The Bocce Guy, has traveled from coast to coast for the past 40 years, spreading the gospel and joy of playing bocce. He is the author of several books and written for the Boston Globe, Referee magazine and other magazines. He publishes the Joy of Bocce Weekly, an ezine connecting bocce aficionados everywhere. A retired public school teacher and coach, he runs bocce tournaments, bocce fund raising events, corporate outings and parties with bocce as the focal point.